So, funny thing, pretty much the only reason why I made this was because I had celery in my fridge and I didn’t want it to go to waste. That always happens when I buy celery. I use a few a few stalks and then the rest gets thrown out. I was determined not to let that happen again. 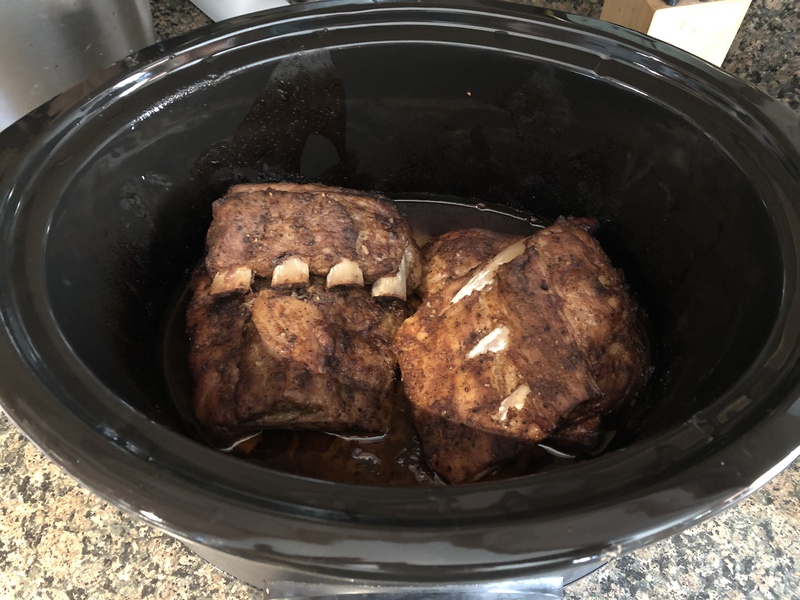 So, I knew I wanted to make something in my slow cooker but wasn’t sure what and then came across this recipe in my favorite slow cooker cookbook. 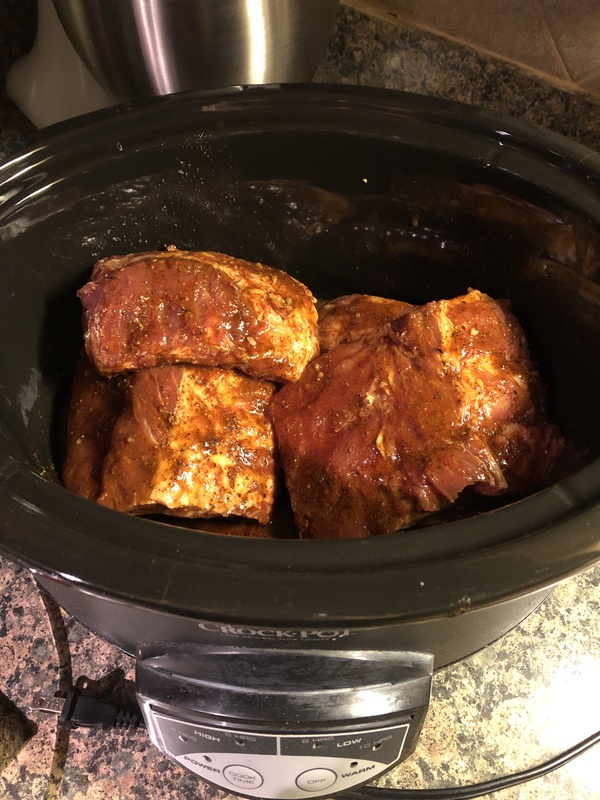 What was even better, this is one of my favorite types of slow cooker recipes – throw it in there and let it cook. I know that doesn’t sound to proper considering we are talking about food, but, I will assume that you know what I mean. 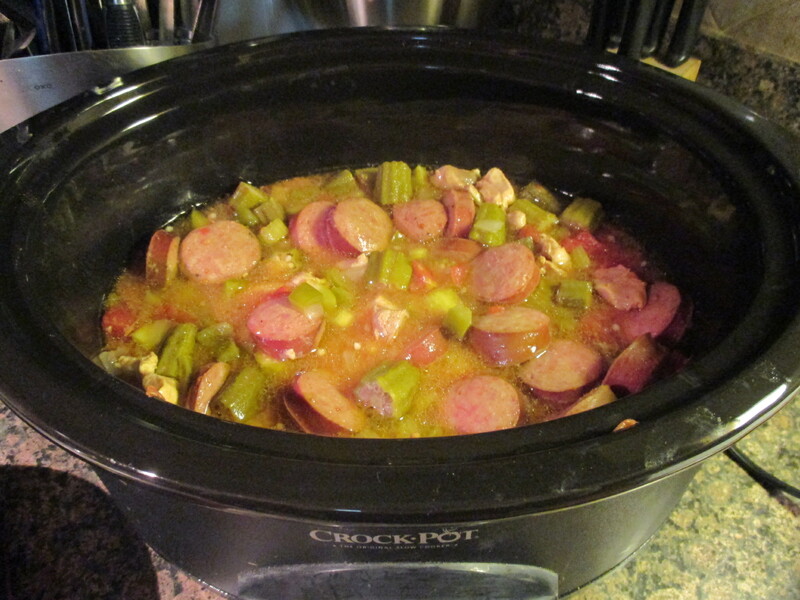 In my slow cooker I added in chicken, andouille sausage, okra, green bell pepper, celery, onion, cayenne pepper, salt, can of diced tomatoes, and chicken broth. Now, it may look like there isn’t enough liquid in there…. But, after cooking on low for about 4 hours there was more than enough liquid. One thing I didn’t do that the recipe called for was adding a cornstarch-water mixture after 3 hours to thicken the liquid. 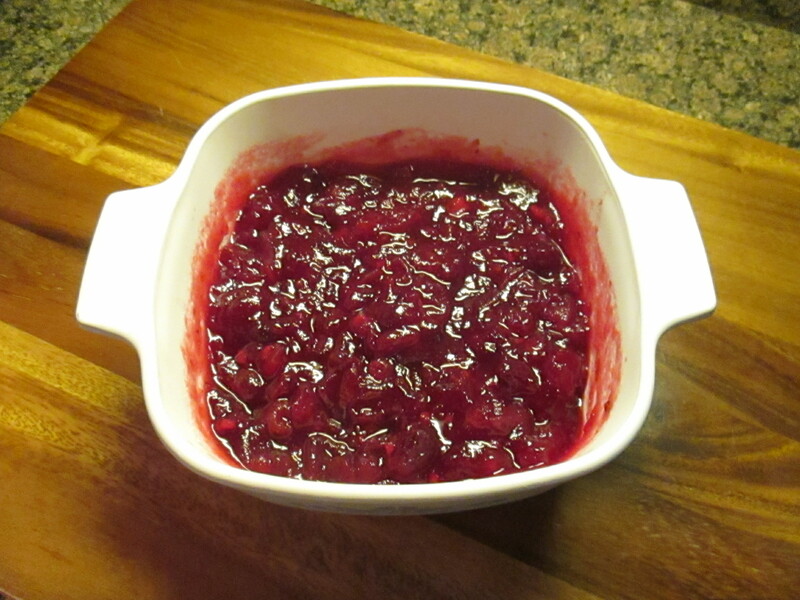 I find that I am not too keen on thickening the liquid because it tends to look congealed after refrigerating it. Granted, all is well once it is warmed up, but, since I am cool with the thinner liquid I stick with that. One more thing, this was delicious, but, if you don’t like spice, I suggest using less cayenne pepper. To go along with the gumbo I made white rice and it’s the perfect accompaniment to soak up all the juices. 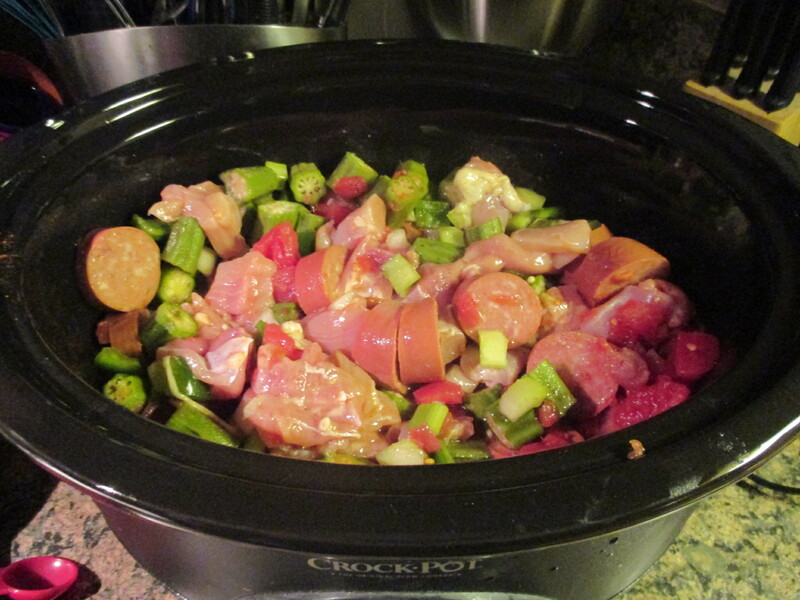 In a slow cooker combine the chicken, sausage, okra, pepper, celery, onion, cayenne pepper and salt. Add the diced tomatoes, along with their juices, and the chicken broth and give everything a few good stirs to combine. Cover and cook on high for 3 hours. 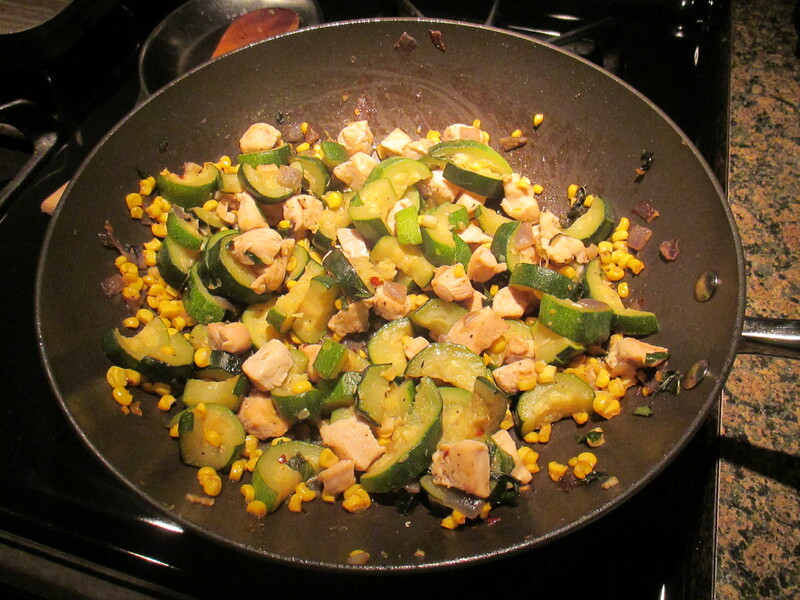 In a small bowl, whisk the cornstarch along with 1/4 cup water. Stir into the gumbo to thicken it, cover and continue cooking for an additional hour or until the chicken is cooked through. Season with salt and pepper if necessary. 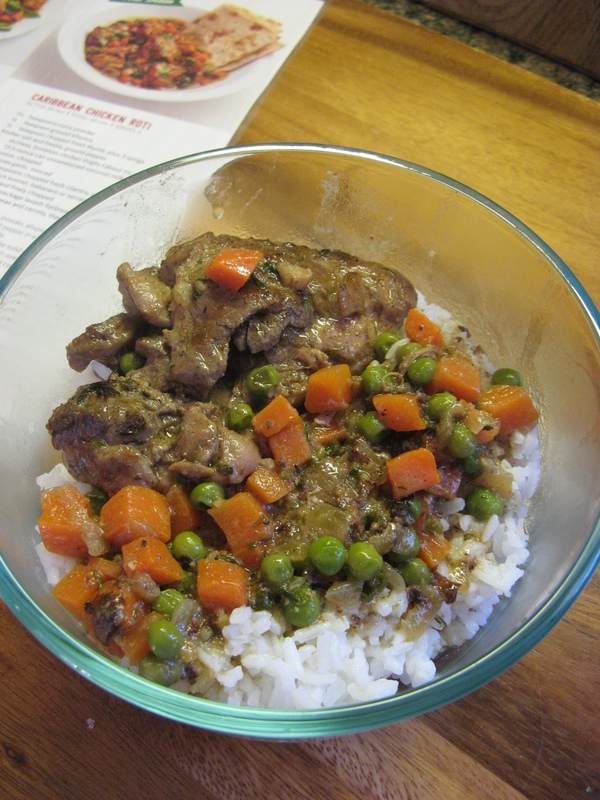 Serve with white rice. 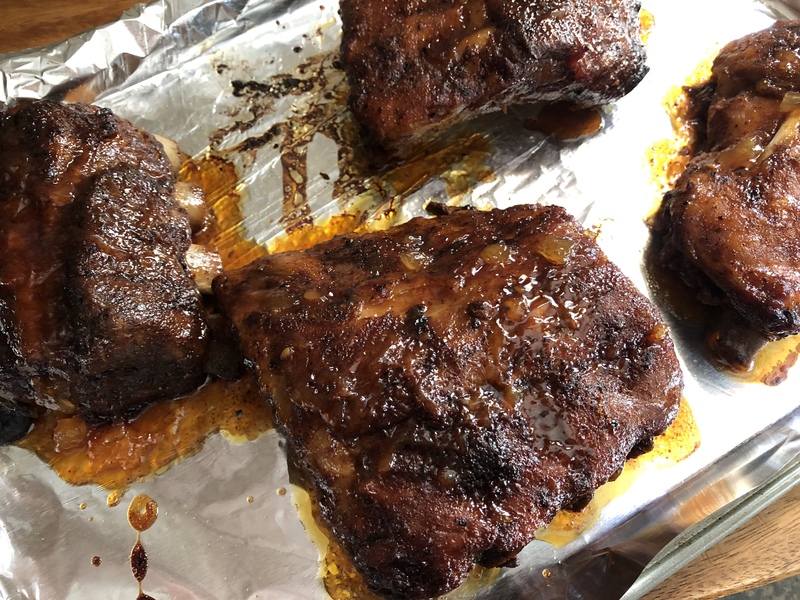 Every week there are two questions I dread… What should I make for lunch for the week and what should I make for dinner? I try to switch it up and make different things but sometimes I just run out of ideas or quite simply I just don’t feel like cooking. Thankfully, I have a binder of organized recipes I have been collecting for quite some time and I am finally putting them to good use. This Caribbean Chicken recipe is one that I ripped out from Food Network Magazine a few years ago and I am sure I will be making it again. 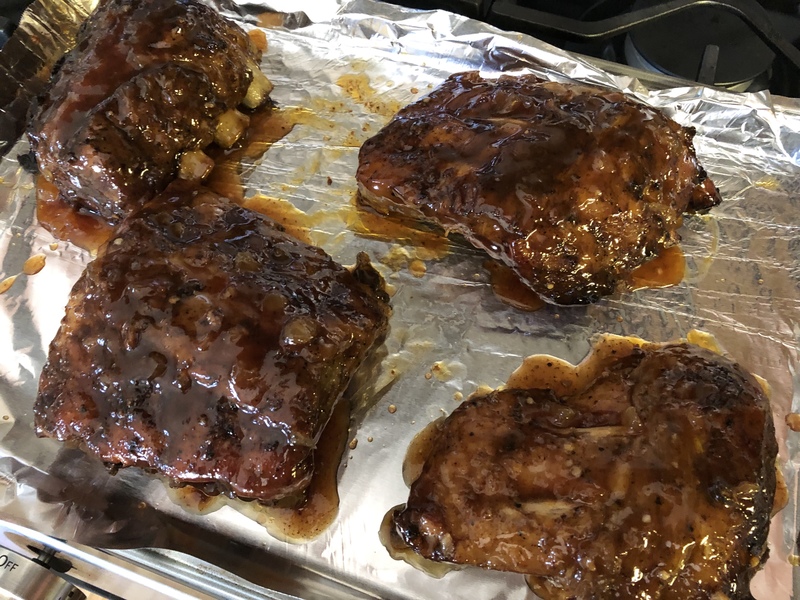 To start I browned boneless skinless chicken thighs that I seasoned with curry powder, allspice, thyme salt and pepper in melted coconut cream that I skimmed off the stop of the coconut milk. Just remember not to shake the coconut milk or you won’t be able to skim this cream off of it. Once the chicken was browned I transferred it to a plate and added onion, garlic, cilantro, a serrano chili and thyme sprigs to my Dutch oven and cooked until the onions began to soften. I then returned the chicken to the pot along with water and the remaining coconut cream and milk from the can and cooked it covered on medium-low heat, for about 15 minutes until the sauce was thickened and the chicken was cooked through, about 15-20 minutes. And finally, I added in a cup frozen peas and carrots thawed and cooked everything until the pear and carrots were warmed through. I then seasoned it with salt and pepper. And served it with white rice. Combine the curry powder, allspice, chopped thyme, 1 teaspoon salt and a few grinds of black pepper in a small bowl and use it to season the chicken. Skim 2 tablespoons of the solid cream off the top of the coconut milk and transfer to a large Dutch oven or pot and melt over medium-high heat. 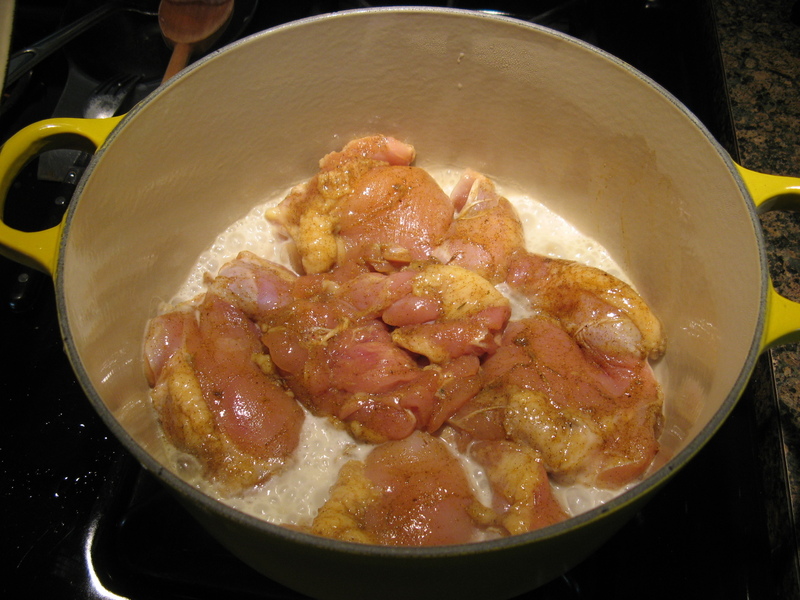 Add the chicken and brown on both sides, about 5-7 minutes. Transfer to a plate. 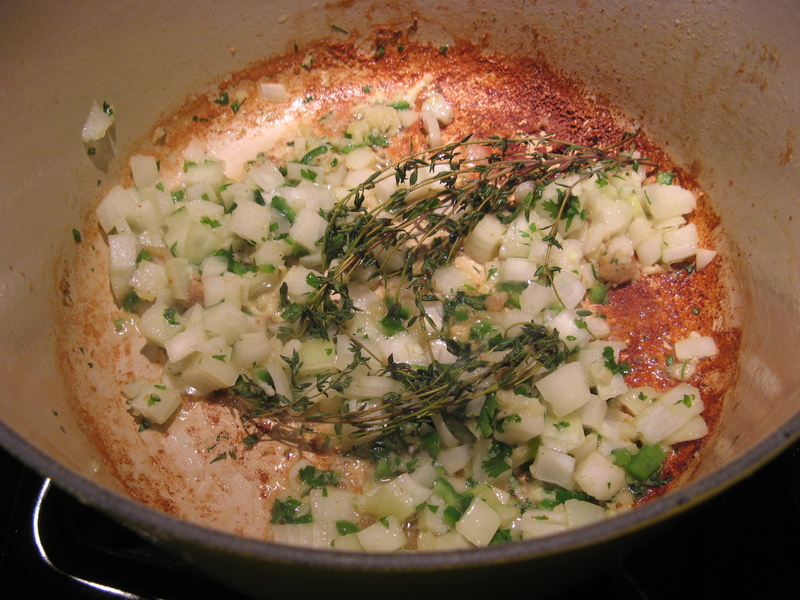 Add the onion, garlic, cilantro, chili and thyme sprigs to the pot and cook, stirring until the onions are softened. Return the chicken to the pot along with a 1/4 cup of water and the coconut milk along with any remaining coconut cream. 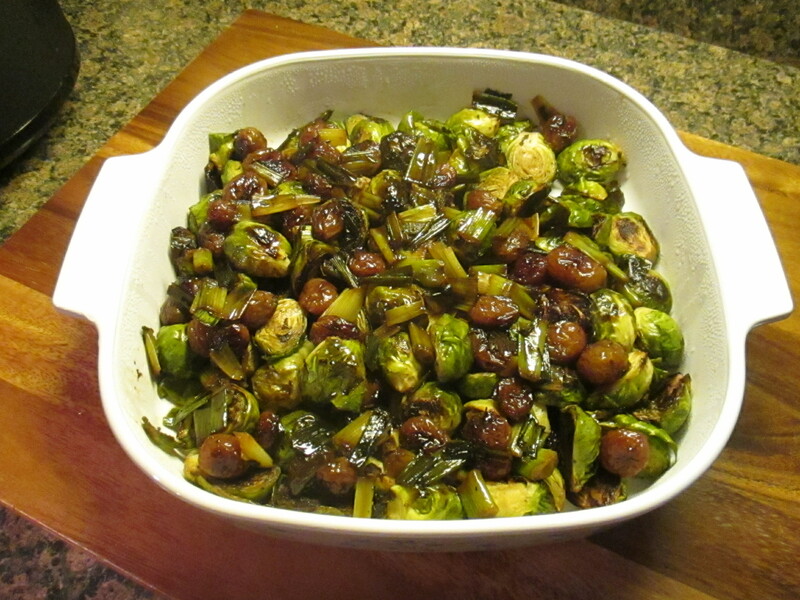 Reduce the heat to medium, cover and cook until thickened, about 15 minutes. 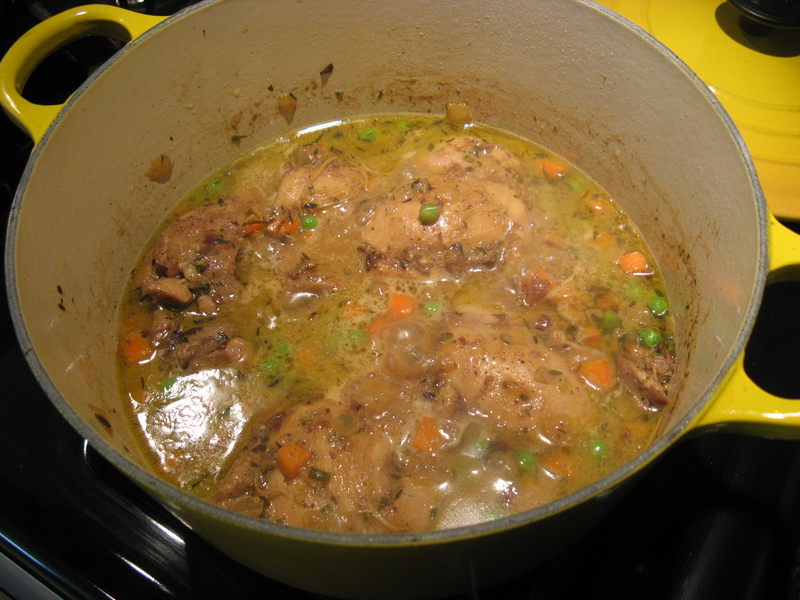 Remove the thyme sprigs and add the peas and carrots and continue cooking until warmed through.